Success in school requires support at home. As nannies we have a unique opportunity to teach children in important ways that cannot be taught in school. It is up to us to make learning experiences in everyday activities. We can even help children too young for school to develop motivation and curiosity that will help the succeed once they attend school. 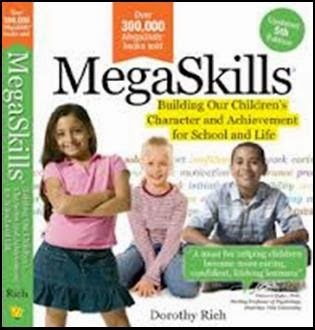 Dorothy Rich of Megaskills: Building Our Children’s Character and Achievement for School and Life lists the following activities to do at home to help children develop curiosity, initiative, and motivation to learn. Make bird feeders by spreading peanut butter on an apple and then roll it in bird seed. Hang the bird feeder in a tree and identify the types of birds that come to visit. Allow the kids to help care for their pets. Collect rocks, insects, leaves, flowers, and shells. Press flowers and leaves between the pages of heavy books and display them later in a journal or in picture frames. Allow children to help you bake in the kitchen by measuring ingredients. Preschoolers can help set the table by counting the numbers of forks, plates, napkins, and glasses. While grocery shopping let children help count produce, compare prices, and help use coupons. Play card games and board games with numbers like bingo and dominoes. Have children keep a calendar to learn about the days, weeks, months, and years. Describe to children the jobs that people do and the training needed for those professions. Talk about goals for a better world such as peace, racial harmony, and a healthy environment. Be sure to discuss different cultures and try new recipes and projects from other cultures. Answer questions by seeking out information about geography, climate, weather, and land formations. To develop an interest in current events discuss local, national, and international news each day with the kids. Try to avoid sharing terribly tragic or scary events with children though. Keep a supply of paper, crayons, finger paints, clay, paste, markers, scraps of fabric, yarn, and water colors for children to use. Proudly display their best creations. Help kids make holiday and thank you cards. Let kids make up songs. Play different types of music of them to listen to. Encourage kids to write stories. Help them act out plays. Make creativity a fun learning experience for both of you. Praise their creative efforts and allow them to think outside-of-the-box, rather than making them draw inside the lines.